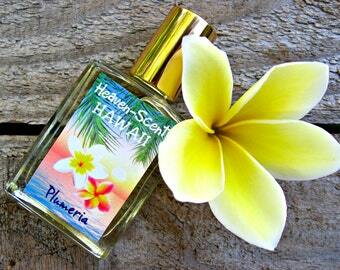 HAWAIIAN PERFUME with Plumeria, White Ginger and Mandarin Flower. Gift from Hawaii for Girl, Teenager, Woman. 1/2 fl oz (15 ml). TUBEROSE PERFUME. Custom-Blended Roll-on Perfume. Made in Hawaii. 0.5 fl oz (15 ml). HAWAIIAN PERFUME with Passion Flower, Mango and Lychee. Gift for Woman, Girl, Teenager. 1/2 fl oz (15 ml). PLUMERIA PERFUME. Custom-Blended Roll-on Perfume. Made in Hawaii. 0.5 fl oz (15 ml). And check out my other shop www.secretperfumer.etsy.com for European-inspired perfumes. 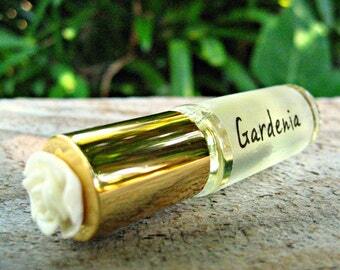 GARDENIA PERFUME. Custom-Blended Roll-on Perfume. Made in Hawaii. 0.5 fl oz (15 ml). HAWAIIAN PERFUME. An Exotic White Floral with Gardenia, Tiare Flowers and Night-Blooming Jasmine. Gift from Hawaii. 1/2 fl oz (15 ml). PIKAKE PERFUME (Hawaiian Jasmine). Custom-Blended Roll-on Perfume. Contains Pikake Essential Oil. Made in Hawaii. 1/2 fl oz (15 ml). GARDENIA MINI PERFUME. Custom-Blended Roll-on Perfume. Made in Hawaii. 1/6 fl oz (5 ml). MAUI MERMAID PERFUME! Roll-on Perfume with notes of Water Lily, Lotus and Bergamot. Made in Hawaii. 1/6 fl oz (5 ml). PIKAKE MINI PERFUME (Hawaiian Jasmine). Custom-Blended Roll-on Perfume. Contains Pikake Essential Oil. Made in Hawaii. 1/6 fl oz (5 ml). PLUMERIA MINI PERFUME. Custom-Blended Roll-on Perfume. Made in Hawaii. 1/6 fl oz (5 ml). HAWAIIAN PERFUME with Passion Flower, Mango and Lychee. Mini Roll-on. Gift for Woman, Girl, Teenager. Made in Hawaii. 1/6 fl oz (5 ml). TUBEROSE MINI PERFUME. Custom-Blended Roll-on Perfume. Made in Hawaii. 1/6 fl oz (5 ml). 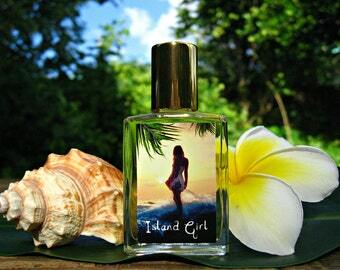 HAWAIIAN PERFUME with Plumeria, White Ginger and Mandarin Flower. Gift from Hawaii for Girl, Teenager, Woman. 1/6 fl oz (5 ml). ORANGE BLOSSOM mini PERFUME. 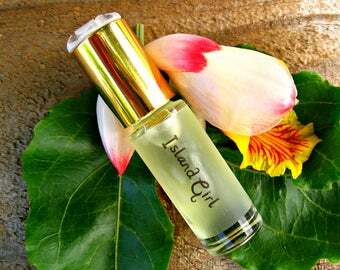 Custom-Blended Roll-on Perfume. Made in Hawaii. 1/6 fl oz (5 ml). TREE OF LIFE Bracelet. Indian Agate, Picasso Jasper and Tree Moss Agate Stretch Bracelet. 8 mm beads. 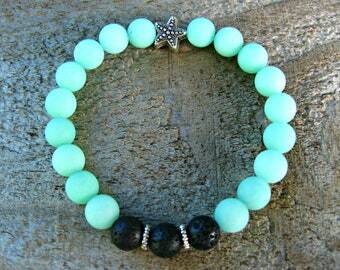 BOHO BEACH BRACELET: Frosted Amazonite, Lava Beads and Starfish. Gift from Hawaii. 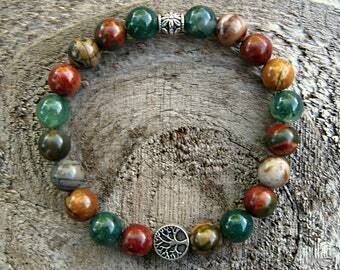 TREE OF LIFE Bracelet with Picasso Jasper and Green Moss Agate. 6mm beads. COWRIE SHELL BRACELET: With Sea Sediment Jasper and Gold Accents. Stretchy bracelet. Gift from Hawaii. 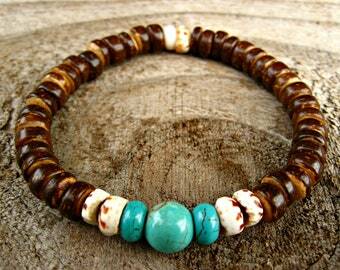 COCONUT SHELL BRACELET: Beach Bracelet with Puka Shells and Turquoise Beads. Stretchy Bracelet. Unisex. Gift from Hawaii. BEACH BRACELET. 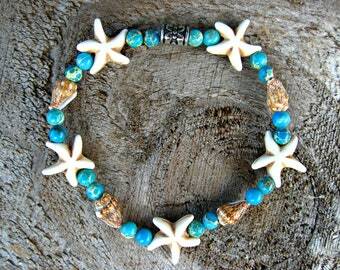 Starfish Beads with Nassa Shells and Turquoise Sea Sediment Jasper. Gift from Hawaii! MERMAID SOAP, Gift for MERMAID lover! Beautiful Oceanic Fragrance. Stocking Stuffer for Her. 4 oz. GIFT for SURFER, Man, Boy, Teenager. Gift for Him. 4 oz Soap for Men. Fresh, Clean, Ocean Fragrance. DOLPHIN SOAP, Soap with Dolphin design, Gift from Hawaii for Girl, Boy, Man, Woman! 4 oz. GIFT for SURFER, Teenager, Man. Gift for Him. Gift Box with 4 oz Soap and 4.5 oz Shaving Jelly / Gel. GIFT for SURFER, Teenager, Man. Gift for Him. 4.5 oz Shaving Jelly / Shave Gel. 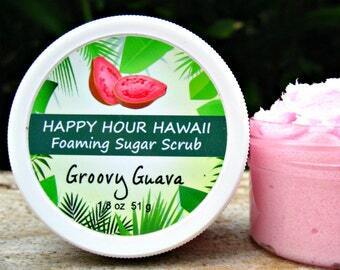 GUAVA SUGAR SCRUB, Mini Favor, Foaming Whipped Soap, Hawaiian Favor, Luau Favor, Bridesmaid Gift, Baby Shower Favor. 1.8 oz (51 g). 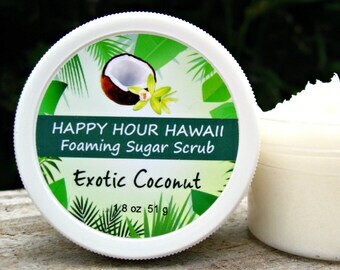 COCONUT SUGAR SCRUB, Mini Favor, Foaming Whipped Soap, Hawaiian Favor, Luau Favor, Bridesmaid Gift, Baby Shower Favor. 1.8 oz (51 g). 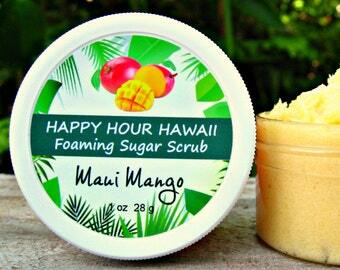 MANGO SUGAR SCRUB, Mini Favor, Foaming Whipped Soap, Hawaiian Favor, Luau Favor, Bridesmaid Gift, Baby Shower Favor. 1.8 oz (51 g). 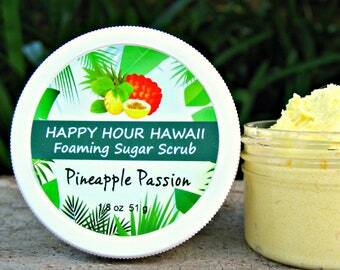 PINEAPPLE PASSIONFRUIT Sugar Scrub, Mini Favor, Foaming Whipped Soap, Hawaiian Favor, Luau Favor, Bridesmaid Gift. 1.8 oz (51 g). 4 MINI SUGAR SCRUBS: Mango, Coconut, Guava, Pineapple-Passionfruit. Foaming Whipped Soap. Hawaiian Favors. 1.8 oz (51 g). GUAVA GIFT BOX: Mini Foaming Sugar Scrub, Mini Shea Body Cream and Foaming Bath Salts. Gift from Hawaii, Hawaiian Gift Box. MANGO GIFT BOX: Mini Foaming Sugar Scrub, Mini Shea Body Cream and Foaming Bath Salts. Gift from Hawaii, Hawaiian Gift Box. PINEAPPLE PASSIONFRUIT Gift Box: Mini Foaming Sugar Scrub, Mini Shea Body Cream and Foaming Bath Salts. Hawaiian Gift Box. HAWAIIAN GIFT BOX - Body Butter and Soaps. Scent choices: Plumeria, Gardenia, Tuberose, Tahitian Tiare, Puakenikeni or Pikake. PLUMERIA SOAP. Gift from Hawaii. Wedding, Bridal, Party Favor, Luau Gift. 3 oz. FOUR HAWAIIAN SOAPS: Your choice of Plumeria, Tuberose, Gardenia, Puakenikeni, Pikake and Tahitian Tiare. 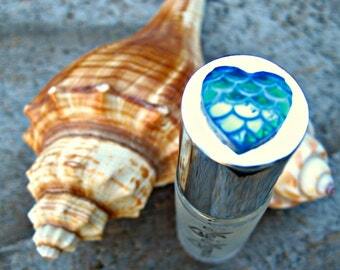 Lovely Wedding / Bridal Favors. I stumbled upon this in a little shop on Maui and put some on from a tester. All the rest of the afternoon, I would get a delightful whirl of delicious fragrance. I was sorry I hadn't bought it. I was so happy to find it online! 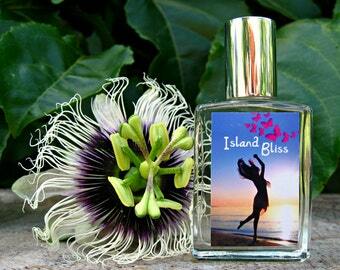 Lilikoi is one of my favorite flavors and smells and the Island Bliss captures it PERFECTLY. It is a glorious fun blend, very natural and light, perfect for warm weather, when most fragrances are overwhelming. I am in love with this scent! Mahalo for your perfumery magic! I had a really hard time choosing which six perfumes to put in my sampler and that was the only downside to this purchase! Really amazing scents, so fresh, tropical and unique. Not all all cloying or "perfumey". I found AlohaNaturals when my favorite Pikake scent was discontinued from a larger brand and was amazed at just how many equally delightful tropical scents were offered. Excited to stock up after sampling the line! What a nice clear floral scent. Stays clear as time goes on. This shop ships quickly too! Wonderful quality body butter and the scent is divine. GARDENIA BODY BUTTER (Thick Lotion) with Organic Coconut Oil and Mango Butter. 4 fl oz. Made in Hawaii. Happy Hour Hawaii gift baskets come in Mango, Coconut, Guava and Pineapple/ Passionfruit fragrances with optional gift wrap, tag and message! 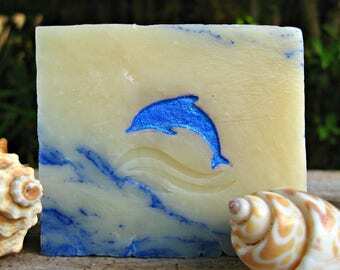 DOLPHIN DREAMS Soap makes a lovely gift for Dolphin and Ocean lovers! A new soap for Mermaid and Ocean Lovers! A Fresh Oceanic Citrus scent and lots of sparkle..
Soaps and Body Butters at Gecko Trading in Makawao, Maui. My new display for the mini perfumes. My new mini roll-ons are fast becoming best-sellers. Decorated Plumeria Soaps are very popular as Hawaiian-themed party favors. 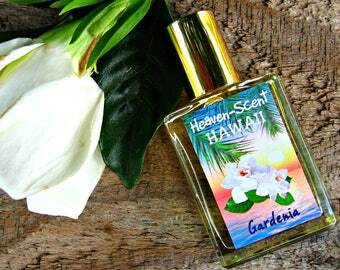 Sharing Hawaii's Heavenly Scents with you.. I have always been crazy about scents (nasal retentive?) and when I came to Hawaii 20 years ago I was blown away by the fragrant flowers here as well as the aromatic fruits and the smell of the ocean. For me, whether it's soap, lotion or perfume, it's all about the scent. Fragrance is so linked to emotions and memories and my intention is to evoke that island feeling (or memory) through fragrance and imagery. I am also committed to making products that are as natural as possible as well as honest labeling. The fragrances are custom-blended - developed over a period of several years. I constantly have my nose in a flower, looking for inspiration to recreate a scent or evoke a feeling. It's an obsession :) The Body Butter is made from scratch, with my own formula designed for optimal moisturizing and absorption (i.e. minimal greasiness).